Storytelling forms a key part of any online marketing strategy and is a central element of marketing tactics in general. However, when we talk about storytelling here, we mean it in the broader sense of crafting a narrative for your audience to be engaged in and follow. This is useful for both small business marketing and larger companies, but small businesses may find that effective storytelling can help them better distinguish themselves from the competition as prospective customers try to puzzle out what choices to make. Although storytelling is more difficult and involved than simply listing key facts about a product or service, there are many unique benefits to using storytelling for marketing that are hard or impossible to obtain through other methods. It is one thing to list the benefits your business can offer customers. It is another thing entirely—and a more effective online marketing strategy—to tell a story that lets readers get a true sense of your service in action. A story can depict the full plight your business is meant to address, describe just how you go about providing a solution, and celebrate the happy ending. One of the trickier aspects of small business marketing, or any marketing in general, is humanizing a brand so it isn’t seen as just another corporate logo. 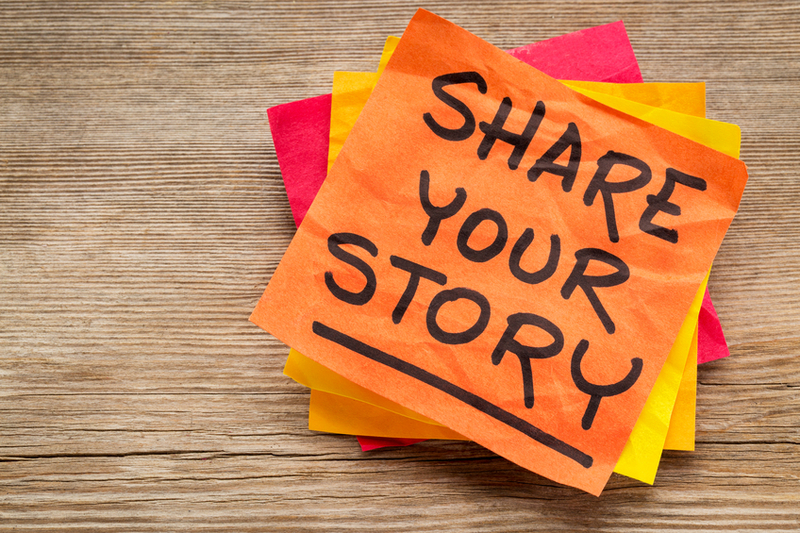 Stories help make a business more personable and form connections with people both outside and within the company itself. A small but very real example of this can be found in the various legends and stories that long-standing companies build up as part of their “corporate lore.” Fun legends, origin stories for product ideas, or simple myths give character and lend companies a more endearing aura. The most shared articles online are those that evoke awe, laughter, or general amusement. Creating content pages that embrace this idea, and manage to inform readers while keeping them entertained and chuckling, can be a great way to encourage sharing. One of the best examples of this phenomenon are the Mac vs. PC commercials from Apple. There is a reason that Aesop’s fables are so enduring. People remember lessons and information more when they are part of a story, and this is just as true when stories are used as a part of online marketing tactics. Storytelling for marketing needs to be about people first and foremost. People struggle, laugh, cry, share, overcome, and indulge in life every day. This forms a beautiful pattern of experiences and adventures that you want your business to be a part of. Your product or service does not need to be front and centre at all times—the star should ultimately be the people you serve and the lives you help them lead. This is a key tenet of writing and can be tricky to pull off, even for experienced storytellers, but when it’s done well, the story benefits significantly. Think about the kind of message you want to impart and find ways to show it without describing it specifically. For example, if you want to tout your product’s durability and longevity, perhaps depict it being used throughout the years or surviving seemingly harsh conditions. This ties into the above “show, don’t tell” tip. Basically, you should tell stories that naturally tie in to what you want to say about your product. If your business is in loans and financing, perhaps tell the story of a newlywed couple moving into a bigger house and getting a van in anticipation of a larger family. Think about why someone would want to buy your product or service and tell a story that shows that reason off, whether directly or indirectly. This tip can be considered more of a suggestion depending on the type of tone you want to set for your story. The key idea, however, is that you should tell a story in the language your audience uses. Talk the way they talk. Joke the way they joke. Share the way they share. While some corporate attempts at being colloquial can be cringeworthy, to say the least, there is little harm in simply being conversational and relaxed. Being easy to follow and understand is a virtue, not a vice. The standard beginning, middle, and end progression of a story is tried-and-true and works for a reason. While you can be free to experiment and turn conventions on their head if you want, storytelling in marketing is supposed to be about easy communication. If you plan on making a story series about your product or service, charting out and planning a pattern for both individual tales and the larger narrative will help keep things on track and consistent. A surprise helps capture attention and make the overall story more memorable in the mind of your audience. The type of surprise you use can come in numerous forms, so it should be possible to find at least one that can be used. Little-known facts about a product or service, any lesser-known applications or users of your business, or even just a final punchline can be a form of surprise to make a story more appealing. 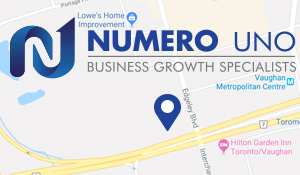 Numero Uno Web Solutions is a premier provider of search engine and web site promotion services for businesses of all shapes, sizes, and industries. Providing crafted stories for clients is just one of the many ways we carry out this goal. Our strategies take into account both the latest developments in SEO and web marketing research along with tried-and-true approaches. Our precise, studied methods have benefited Toronto businesses along with industries across Richmond Hill, Vaughan, and more. Our success has even allowed us to extend our reach and offer SEO services to Texas, Massachusetts, and Florida. For any business looking to incorporate storytelling into their online marketing tactics, we are just a call away at 1-855-SEO-XPRT.